Here's a simple test...When you hear the name Brunswick what comes to mind. Now a random Jill or Jack on the street might think it bowling time. But, YOU? you know better, and if you didn't now you do. The Brunswick you think of isn't round and cold, it tends to come in warm woods. 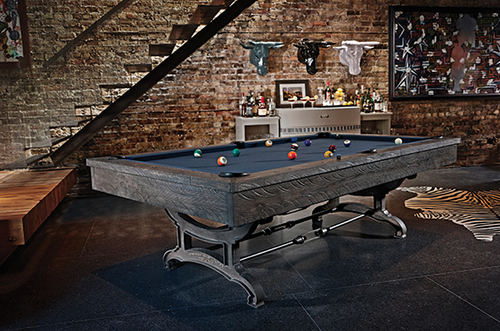 The centerpiece, the classic, the constant of a ladies' or gentleman's gameroom is the pool table. Brunswick is the pool table done right. Whether you’re a pro or not your game looks better than ever. See which one suits your fancy right here!